Beneath the ice at the bottom of the Earth is a magnificent subterranean labyrinth, a place of breathtaking wonders--and terrors beyond imagining. A team of specialists led by archaeologist Ashley Carter has been hand-picked to explore this secret place and to uncover the riches it holds. But they are not the first to venture here--and those they follow did not return. There are mysteries here older than time, and revelations that could change the world. But there are also things that should not be disturbed--and a devastating truth that could doom Ashley and the expedition: "they are" not "alone." Have purchased an additional copy to gift. Brilliant. Exciting. No complaints. 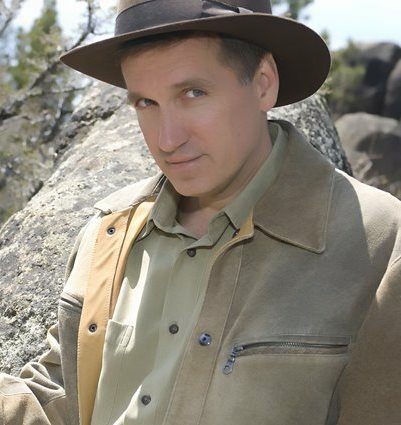 James Rollins is the author of seven previous bestselling novels. An amateur spelunker and scuba enthusiast, he also holds a doctorate in veterinary medicine. He currently lives and writes in Sacramento, California.